There is a very potent mantra, which you are probably familiar with. It is a mantra of the god Viṣṇu. The mantra — “oṃ namo bhagavate vāsudevāya” — is emblazoned on a golden plaque over the mūrti (physical image) of Badrīnārāyaṇa in His temple at Badrinath in the high Himalayas of Northern India. These few simple words carry an amazing amount of spiritual energy, and if chanted diligently, and with intense devotion, can give great spiritual blessings to the ardent devotee. Badrīnārāyaṇa is a very important deity in the Hindu pantheon, and His temple at Badrinath is one of the four main pilgrimage sites (the Char Dham) in India that devout Hindus try to visit at least once in their life. Over the centuries, Badrinath — which is inaccessible for half of the year due to heavy snows — has been host to countless sadhus and saints, mahants and mahatmas. 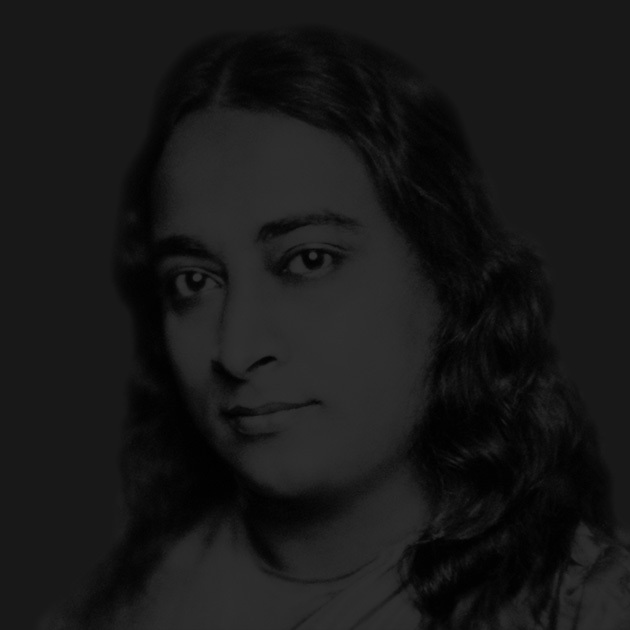 Paramahansa Yogananda said in his Autobiography of a Yogi that “the northern Himalayan crags near Badrinarayan are still blessed by the living presence of Babaji”, the great immortal founder of the Kriya Yoga lineage that Yogananda brought to the West in 1920. It is said that in the spiritual golden age of satya yuga, the Lord Badrīnārāyaṇa Himself was visible to all who visited the holy site. But as human consciousness descended and passed into the tretā yuga, only sannyasins (renunciate monks) and the most steadfast devotees had the vision of the Lord. As the collective consciousness descended further and entered into the dvāpara yuga, only the most advanced yogis and gurus were able to have the Divine vision. And when kali yuga took hold of the world, and humanity was plunged into spiritual darkness, the vision of Lord Badrīnārāyaṇa was hidden to all, and it was necessary to install a mūrti in the temple. The mūrti was installed by Ādi Śaṅkarācārya, the great reformer of Hinduism and founder of the daśanāmi saṃpradāya monastic order of which most modern-day svāmīs are a part. We were fortunate to be able to visit this most holy site in the fall of 2004 on our pilgrimage tour of Northern India. It was one of the most inspiring experiences of my life, and the powerful energy built up by uncounted millions of devotees making that long and difficult pilgrimage, often on foot, was easily tangible. We spent our time there chanting to and meditating upon Badrīnārāyaṇa, and drinking in the blissful nectar of God’s propinquity felt so strongly there. When we left Badrinath, Badrīnārāyaṇa’s presence was still strong in our minds, and we found it difficult to chant to anyone but Him. We were bussing down the narrow Himalayan “highway” (often only one lane for both directions!) on our way to Devaprayag. We were there at the end of the mighty monsoons, so the ground was completely saturated with the heavy rains. This causes the hillsides and roads to be very unstable, and landslides are very commonplace. Quite often we would have to wait while the road was cleared of rocks and mud that had fallen from above and blocked the way, but the Indian road crews are very quick, and the wait was usually short. On one particular occasion, however, the landslide was so bad that traffic was backed up for well over a mile. While we were waiting, we heard the crews using dynamite to clear the huge rocks that were blocking the roadway. As the crews cleared the huge slide, we inched forward, hoping that soon we would be able to continue on our way. After a while, however one of the men working on the road was making his way from vehicle to vehicle and, after speaking with him, our bus driver turned off the engine. We knew we were in for a long wait. We got off of the bus to stretch our legs, and were quickly joined by a large group of children from several other buses that were behind us on the road. We spoke with them, and found out that they were also just leaving Badrinath, which they had visited as part of a school trip. They were from the rural area around the mountain town of Nainital, and were incredibly sweet in the typical fashion of Indian schoolchildren. They were all very interested in what a busload of Americans was doing there on the Rishikesh-Badrinath highway. We spent quite a bit of time with the kids, and their teachers, but we still had no word on how long we would have to wait for the road to be cleared. Well, in India, whenever there is some time to kill, we usually spend it singing kirtan, so we decided to chant with all the kids. In front of our bus, there was an empty truck. If you have ever been to India, you know exactly the sort of truck I mean. It is what they call a “Goods Carriage”, and they are all brightly painted and decorated with oṃ symbols (ॐ), mantras, and deities. It is basically the Indian equivalent of an American semi-truck, and they are used to transport everything from food to clothing to furniture, all over India. So, one of these happened to be right in front of us, and it happened to be empty. So we found the driver and asked him if we could climb inside with the harmonium and a drum to do some chanting. He looked at us like we were a little crazy, but he agreed. We dropped the tailgate, and climbed on in. And then it got raucous, and Hilary started banging the drum with everything she had! As we crescendoed and sped up, I was swept away by the chant, and Nārāyaṇa made His presence known to all of us there. The kids were shouting and jumping and laughing, and the adults were chanting along fervently. It was an amazing scene, and one that could never exist in the West. Here we are, stranded by a landslide, not knowing when we will be able to continue our journey, but rather than brooding in true American fashion, we were all singing God’s name with unbridled joy! When we finished the chant, all the kids screamed and clapped, in awe of the Americans who sang kirtan. Afterward, we were approached by two elderly ladies who were on their way up to Badrinath, where we had just come from. It was the first time, and probably the only time, that they were making the pilgrimage, and they felt that Nārāyaṇa had blessed their pilgrimage by coming to them in the form of a group of Westerners who chanted His names with so much devotion. He did indeed bless their pilgrimage, just as He blessed ours, and that of the schoolchildren. All these people who had never met, and probably will never meet again, brought together by a natural “accident”, with nothing in common except a deep love for God. It was truly beautiful. I have been blessed on many occasions to chant and play music with almost all of the top kirtan artists in America. I have played tabla for Bhagavan Das, Wah!, Durga Das, Govindas, and Wynne Paris. I've played djembe and harmonium for Girish, and led kirtan concerts with Donna De Lory and the Temple Bhajan Band, and I've spent countless hours chanting alone at home. But of all my experiences with chanting the Divine name, there are very few that can compare with chanting to Nārāyaṇa while stranded on a mountainside in Northern India. The sweet sincerity of the children, and the pure devotion of the adults made that experience one I will never forget. Nārāyaṇa is eternal. Brahma is Nārāyaṇa. Śiva is Nārāyaṇa. Indra (king of the demi-gods) is Nārāyaṇa. Heaven and earth are Nārāyaṇa. Time is Nārāyaṇa. The four cardinal directions are Nārāyaṇa. The four ordinal directions are Nārāyaṇa. Above is Nārāyaṇa. Below is Nārāyaṇa. Within and without are Nārāyaṇa. Everything is a manifestation of Nārāyaṇa. He is the future and the past. Nārāyaṇa alone is undivided, unblemished, unchanging, unknowable, pure, and singularly divine. He is without a second. Whoever knows this becomes as Nārāyaṇa Himself!